Given its name, the self-titled debut by Naming Ghosts (64'17") is not really very frightening. It covers an interesting range of textural space and impressionistic IDM in ten Jazz-tinged, Post-Rock aural vignettes. Naming Ghosts is the moniker under which B.J. 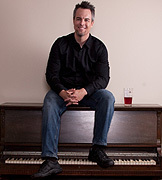 Schweinlin records his progressive ambient works. Also known as "Mind Soup" Schweinlin's work here is fraught with inner significance. It is alternately hot then cool, kinetic then static, primitive then complex, and the listener must quickly develop a mental map to follow this album's unfolding voyage through space. A pastoral drama of electric piano and synth strings recedes as the sudden gravity of rumbling bass guitar notes drive light percussion and marimba through a noir soundtrack. However subtle, rhythm is a pervasive component of these compositions - yet it is held completely in service to the unique atmosphere and overall ethereal feel of this release. 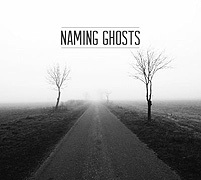 The instrumental music of Naming Ghosts suggests things - in its way of approaching the subconscious. Its ideas embodied in sound achieve the emotion and precision intended - and goes where it is not expected.